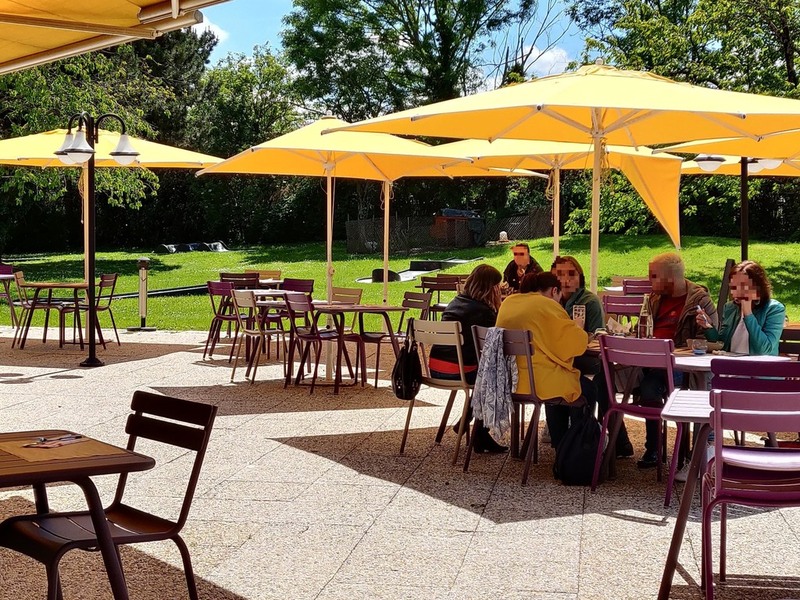 The Novotel Paris Saclay hotel is located just 11.2 miles (18 km) from Paris, in the heart of the Greater Paris scientific and university center. The hotel offers light, modern rooms for couples and families. Outdoor pool, mini golf course, tennis and ind oor and outdoor games. Our 15 meeting rooms have everything you need for meetings and seminars. After a day of work or a visit to the Château de Versailles, take a moment to relax on the terrace at Novotel. The spacious, adaptable and contemporary Novotel room is a true living space, perfect for all your needs. The Novotel Saclay offers 140 rooms measuring 269 sq. ft. (25 m²), some overlooking the park. Enjoy our bright rooms in a calm environment in the heart of the traditional village of Saclay. Make the most of our free WIFI and tea and coffee making facilities. The restaurant will be closed from Friday evening to Sunday midday during the period from 19 October 2018 to 31 March 2019. During this period you can always dine at the bar or enjoy room service.